This product was created with big love and care 🙂 Each illustration was originally drawn by hand and then edited in design programs. 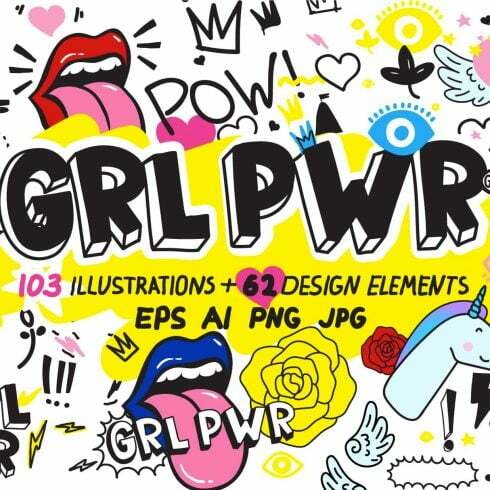 Great set of 103 vector doodle feminist illustrations, 62 design elements, 5 seamless repeatable patterns. All files are available in EPS10, AI(CS), PNG (transparent) and JPG formats. Big set of Vector cute doodles illustrations with text and fancy graphic design elements. 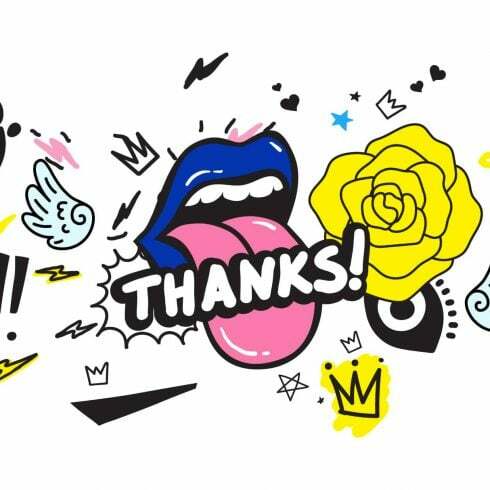 This trendy funny clip-arts and patterns is perfect for graphic design, cards, posters, prints, apparel, packaging, patches, stickers, clothes design and more!